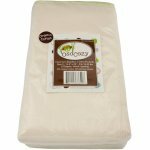 Bamboo / Organic Cotton Prefold Diapers - 6 Packs – Our Osocozy prefolds that you love are now available in an ultra soft bamboo-organic cotton blend. 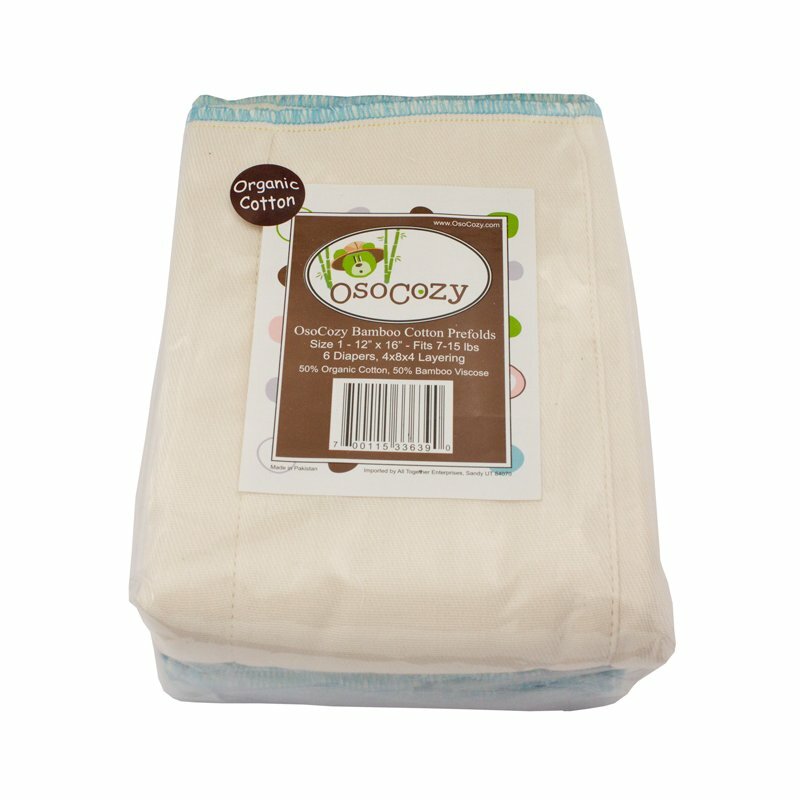 Made from 50% bamboo and 50% GOTS certified organic cotton, these prefolds are extremely absorbent and luxuriously soft. Bamboo itself is naturally anti-microbial which means that you are less likely to have ammonia build up when compared to synthetic fiber diapers. These wonderful prefolds are now available in attractive store shelf packaging perfect for gift wrapping. Each package contains 6 diapers. Sold in "Traditional" prefold sizes as well as "Better Fit" sizes. 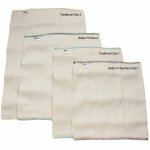 Tradional prefolds are sized to wrap around bbay and be fastened diaper pins or diaper fasteners. Better Fit prefolds are sized to be tri-folded into a diaper cover. All sizes can work either way depending upon the size of your baby and personal preference. Sold 1 six pack at a time but a 5% discount is given if you order a case or more per size. Case sizes shown in chart below. *These prefolds can shrink significantly if washed and dryed on high temperatures. Please use warm or cold water and dry on medium heat.